When in the process of a brewery facility expansion, conducting due diligence effectively means researching a specific location(s) as it relates to your vision and master budget before starting detailed design or construction. While it is tempting to skip or truncate due diligence, this will surface the devil in the details that will make or break your expansion. Will the city support and work with you? How does your vision align with the city’s vision? Who else at the city do you need to work with? Are there other breweries in the city or will you be the first? It is very difficult to get project approval without the support of city staff, and it is very expensive to find out at city council that you don’t have their support. Starting a relationship with the city early in the process is the surest path to a smooth, timely approval. Are there secondary locations that would allow the majority of what you want to do with minor modifications? Is there a site you are in love with, but will require lots of zoning modifications to allow you to operate there? Will the City support this or not? Occupancy and egress issues: Can the existing building configuration support the public areas with safe exiting per the building code while also supporting the functions of your brewery, taproom, restaurant, and so on? Plumbing fixture count: Does the existing facility provide restrooms? If so, are modifications required based on what you want to do? Construction type: It is important to know the existing construction type, typically type III or V, and if the building has a sprinkler system as this classification could limit the size of the brewing or retail and restaurant areas. If possible, don’t sign a lease until you have determined the location works for all of your needs. Take more time, if necessary, to ensure you have everything right before committing to a lease or purchase on an existing space. Ensure you can do what you want to do. Know the steps that will be required to make it happen and obtain all of the necessary approvals from them. At the end of the meeting, you should know the steps required to gain approval. Be sure to ask many questions to ensure you have it all covered. Missing something in the pre-application meeting can translate to delays in terms of months, not weeks to your project timeline. A conditional use permit (CUP) allows for a special use on a given site, if it is not currently allowed prescriptively. If the site you selected is not zoned currently for the uses you plan to provide, you will need CUP. Therefore, you will want to know what the steps required to obtain a CUP, and whether the city will support you in that process. Usually, these are formal plans submitted to the planning commission and city council for review and approval. This step usually requires a public outreach process, allowing for public review and comment at multiple steps along the way. Depending on the city, their process, and how busy they are internally, it can take several months. Water. Most commercial water supplies are sufficient to provide for water, especially if you are using reverse osmosis and storing onsite prior to brewing. If you are a high capacity brewery (brewing almost 24/7), do you have sufficient water capacity? Or do you need to add a water meter or new line to increase capacity? The cost of a new water meter can be excessive, so verify this need up front. Sewer. Have good estimates for your first year's-worth of volume available, and know the industry standards for BOD (Basis of Design), solids and chemicals you will be putting into their system. However, it is better to underestimate than overestimate because that will set your initial rate, and they allow future corrections. Depending on the rate and your needs, you may consider whether you can save money by diverting or filtering solids on your end. A new collection or water filtration system on your side of the pipe may pay for itself over time. Electricity. Check the existing system or capacity of the feed. Ideally, you want a high capacity three-phase system. A small brewery will need 300A – 600A on the brewery side and double that for a commercial kitchen or restaurant. Gas. Typical commercial gas meters and lines into a building are too small for gas-fired kettles, requiring upgrades. Coordinating with the utility will take time and fees, so plan ahead to understand the cost and time impacts. Slab. Check the existing slab to ensure that it will handle the loads of your current and future tanks when filled to capacity. You may have to replace this if it is an older building. Height. Know if the building has the natural height within to allow for scaled equipment and tanks, plus the overhead clearance requirements for access and utilities. Available Exterior Space. Identify if there is space outside available to install grain silos or spent grain tanks. Assess how you can access this space and any planning limitations that might be imposed. Additionally, consider what technologies – for example, water reclamation, solar PV or water heating, fuel cell – you can implement to reduce overhead utility costs. Reducing overhead costs is one of the easiest ways to reduce your overall production costs without sacrificing quality. Lastly, consider if the utility provider has a backlog of work that will delay when they can start work on your site. It may be possible to hire your own contractor to do the work and have the utility provider inspect it, which can save a significant amount of time. For more information on the other stages of the brewery facility expansion process, such as defining your vision or master budget, read: How to Avoid Pitfalls of Expanding Brewery Facilities. 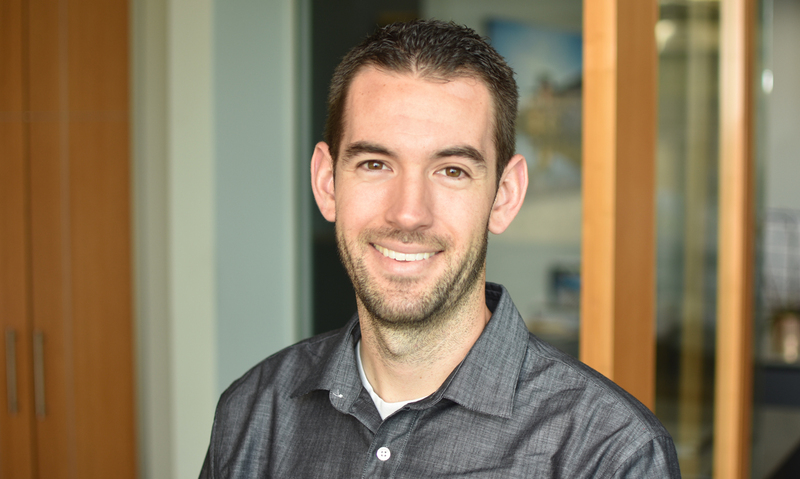 As a committed leader of DAHLIN’s commercial market sector group, Ben manages a variety of clients and project types—including breweries, gymnasiums, country clubs and restaurants—from initial concept through construction administration.